Welcome to Abbotsford Oral Surgery and Dental Implant Centre in Abbotsford, BC. We are proud to offer excellent oral surgery care to patients of all ages in the lower British Columbia mainland. As an oral and maxillofacial surgeon with specialized skills, Dr. Esmail practices the full scope of oral and maxillofacial surgery with uniquely qualified expertise that ranges from dental implant surgery and wisdom tooth removal to complex corrective jaw surgery to the surgical treatment of sleep apnea. Our knowledgeable team listens carefully to our patients’ desires and oral surgery goals to achieve optimal results. 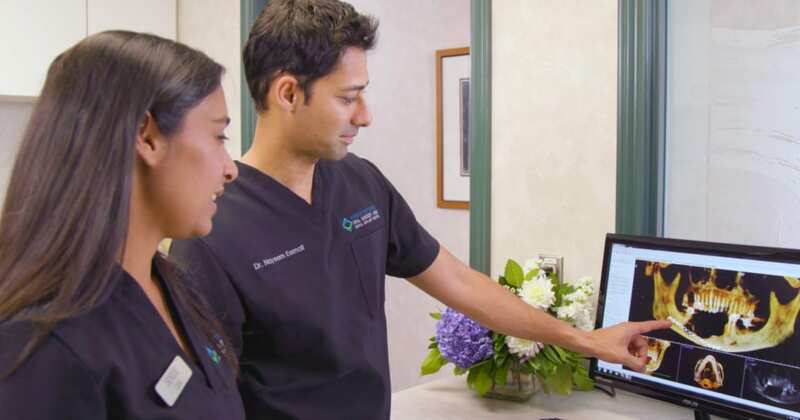 Our practice uses the most advanced diagnostic technology available today, including all digital 3D scanning that reduces radiation exposure and ensures an accurate diagnosis and a precise surgical plan. It is our privilege to offer the finest personalized oral surgery care to you and your family. We look forward to welcoming you to our comfortable, safe, and inviting practice where we are ready to guide you every step of the way. Feel free to call our practice with any questions you may have or to schedule your consultation appointment with Dr. Esmail.